When you purchased Sage Fixed Assets software, did you know that a powerful Reporting Tool was included in your purchase? Did you know Sage Fixed Assets Reporting needs to be installed separately from your other Sage Fixed Assets software solutions? 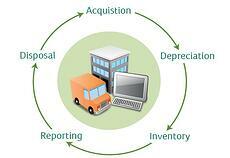 If not, you might not be taking advantage of the advanced reporting capabilities you purchased. Tailor reports with a nearly unlimited number of sorts and subtotal formulas. If this is old news, great! We're confident you're getting the most out of your Sage Fixed Assets solution. If you would like more information about how to get the most out of your Sage 300 ERP software purchases, please contact Equation Technologies today.